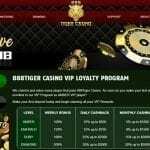 24 VIP Casino No Deposit Bonus Codes 2019! 240 FREE SPINS! 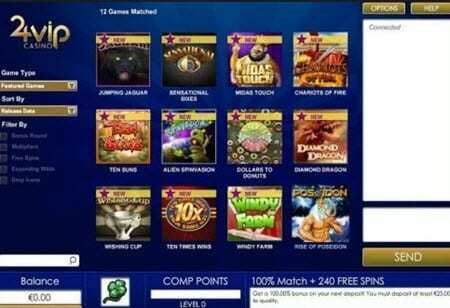 $1000 Welcome Bonus + 240 FREE SPINS! Rival Gaming owns 24 VIP Casino and utilizes Betsoft games to deliver a bold presentation with dark, crisp colors along with a easy-to-use interface. The site is attractive and engaging. In keeping with other popular online casinos, 24 VIP Casino offers a full selection of video slots in a varied collection that includes many of BetSoft’s most enjoyable classic games, 3-reel titles, table games, and 3D slots. Of course, you’ll also find a collection of table, video poker, and specialty games to keep you busy. 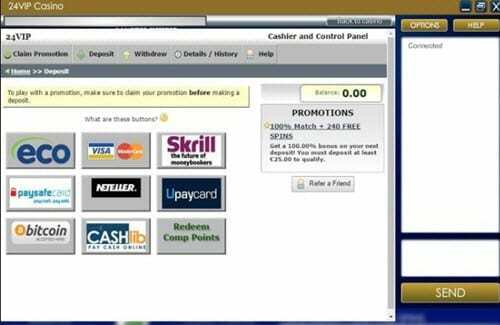 Welcome bonuses are easy to find and should be accessed as soon as you arrive at 24 VIP Casino. Moreover, if you pay attention, you can find additional offers to match-up promotions, deposit bonuses, and free spins. While the casino is licensed in Curacao, little information is available about what this actually means. Deposit options are friendly, but methods of withdrawals leave a lot to be desired. Play at 24 Vip Casino Now ! 24 VIP Casino offers a generous 100% Match-Up Welcome Bonus that features and additional 240 free spins, which are awarded at the completion of this bonus. 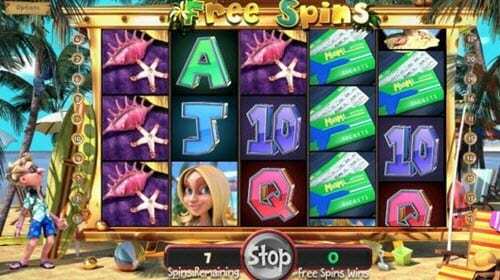 The free spins are delivered 24 at a time over the course of 10 consecutive games. It runs across a wide range of games, including bingo, slots, and specialty games, giving players flexibility in choosing which game they wish to play in order to use their bonus. While no cash out limit exists, players must meet the wagering requirement of 15x plus the bonus. The Second-Deposit 200% Match-Up Bonus comes with no maximum limit on cash outs. 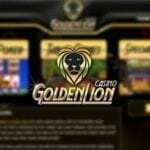 It features a generous 200% match on your second deposit at 24 VIP Casino. Unfortunately, you must run through a wagering requirement of 30 times plus the bonus in order to complete this bonus. On a positive note, you can choose any game listed in the selection of specialty games, slots, bingo, and keno. New members automatically gain entrance into the casino’s prestigious loyalty program featuring four VIP levels. Each of the levels provides access to a variety of bonuses and special perks. Members begin on the Silver level, advancing to Gold, Platinum, and Diamond, according to how much they wager and how frequently they play. Rival Gaming provides a large portfolio of titles, making this site highly popular, particularly because it also offers a bitcoin platform. Games are available for play in mobile, instant mode, or downloadable software versions. You can enjoy your favorite pastime from any location as long as you have your phone or computer with you. Of course, you must have Flash installed on your device if you intend to play the games at 24 VIP Casino. On the game page, players are greeted with one of the widest selection of slots, featuring such fantastic titles as Dog Pound Dollars, Ocean Treasure, Reel Crime Bank Heist, Fantasy Fortune, Wild Carnival, Tahiti Time, and Gold Rush. 3D slots include great games, including 4 Seasons, 2 Million BC, A Night in Paris, Arrival, and At the Copa. Standard table games can be found such as American Roulette, baccarat, poker, and blackjack. The selection of commonly offered poker games features Aces and Faces, Deuces Wild, and Double Joker. SSL Encryption: When it comes to security, members are protected through the advantages delivered by an advanced SSL protocol. 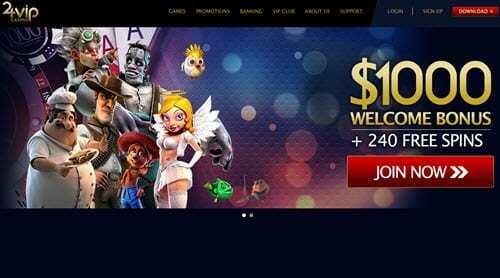 24 VIP Casino provides an easy-to-use platform that is simple to navigate. All of the information you need is presented in the usual spots, allowing you to easily access the pages you are interested in finding. All of the page links can be found at the top your screen, including banking, games, VIP Club, support, and promotions. At the bottom of each page, you can see a running list of each of the big winners on the site along with the type of win they experienced. Whatever your preference happens to be, you can access a knowledgeable support team easily and quickly whenever you think of a question or run into difficulty. Members can use live chat or email to reach customer service reps 24 hours a day to find solutions and answers to all of their questions. As you might suppose, several countries are restricted from joining, including Syria, Turkmenistan, Singapore, Romania, Netherland ANtilles, Poland, Kyrgyzstan, Hungary, Kazakhstan, Estonia, Costa Rica, Denmark, Afghanistan, Bulgaria, Cayman Islands, Bhutan, Azerbaijan, and Bangladesh.